AFL NSW/ACT have licensed two football suppliers to maximise flexibility and minimise costs to leagues and clubs. Please read the ordering process and FAQs below for more information or contact Leah Fitzgerald on leah.fitzgerald@afl.com.au. Sherrin is the Official AFL (NSW/ACT) Match Ball Supplier and an Approved Supplier of Club training balls and AFL NSW/ACT program footballs. Sherrin are offering all AFL NSW/ACT clubs and community members the opportunity to purchase balls at a discounted rate. To place an order, please complete the online Sherrin Football Order Form. 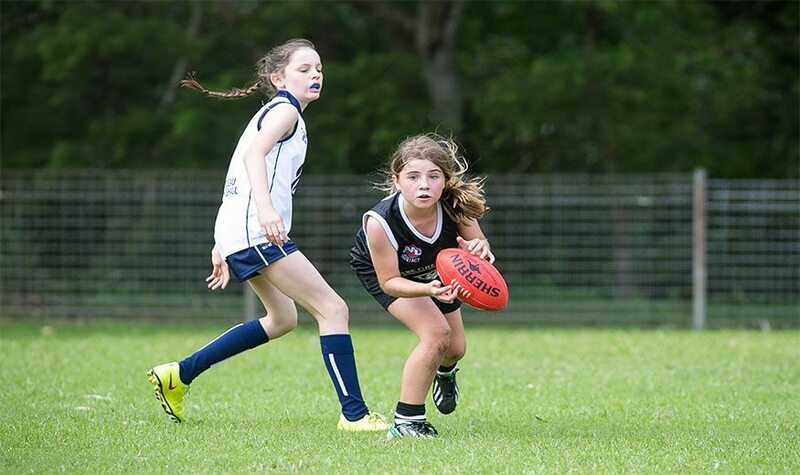 Burley are an Approved Supplier of Club training balls and AFL NSW/ACT programs. Burley are offering all AFL NSW/ACT clubs and community members the opportunity to purchase balls at a discounted rate. To place an order, please complete the online Burley Football Order Form. Why has AFL NSW/ACT licensed two suppliers? AFL NSW/ACT have licensed two suppliers in consideration of league feedback and in order to maximise flexibility and minimise costs to leagues and clubs. Who is the official supplier of footballs for competition matches? Sherrin are the official supplier of footballs. How will AFL NSW/ACT know if we are using the correct ball in competition matches? The umpire report is to be completed by the umpires for each match which will contain information about which football has been used (including brand and size). Can we use Burley or Sherrin footballs in training? Yes, you can use Burley and/or Sherrin footballs in training as both suppliers are approved suppliers for training and program purposes. How do we order footballs? The order forms can be found on the AFL NSW/ACT website. You need to complete the online order form. You will receive confirmation email and receipt of payment once the order has been completed. What are the cost of footballs? The cost of each type of football is listed on the relevant order forms. How do we pay for our football order? Once you have complete the online order form, you will be asked to make payment at the checkout to submit your order. Payments can be made using a PayPal account or a credit card. Payment is required at time of order. It is recommended that clubs order custom footballs 6 to 12 weeks in advance, noting that delivery times for custom footballs can be as long as four months during pre-season peak periods. It is recommended that clubs order standard footballs two weeks in advance. What are delivery costs for footballs? Sherrin do not charge a delivery fee for football orders. Burley charge a $16 delivery fee regardless of the location or the size of the delivery. This fee is automatically added on the Burley order form. What is the minimum custom order for Sherrin? It is required that a custom order for leather footballs is for a minimum of 24 footballs. Synthetic custom football orders have a minimum of 300 synthetic footballs. All artwork must be sent in AI or EPS format. Please contact leah.fitzgerald@afl.com.au if you would like to order custom footballs. What is the minimum custom order for Burley? The minimum order for Burley custom leather footballs is 15 and custom synthetic footballs is 100. All artwork must be sent in AI or EPS format. Please contact leah.fitzgerald@afl.com.au if you would like to order custom footballs.